When my mom learned of my diagnosis of Asperger’s Syndrome, my college counselor gave her a book called The Oasis Guide to Asperger Syndrome. (You can buy a copy here.) The book gives great information on Asperger’s. Now, I realize autism is a wide array of cases, and Asperger’s is much higher than some may be, but after last week’s article about Autism Speaks, I thought I should balance it out by giving 20 things, some from the book’s epilogue, and others from my own ideas about what can be done for children with this condition. Teach tolerance for all disabilities and differences. Point out that everyone “has something”. No one is spared. Gently invite other people who interact with your child to explore his unique world. Don’t say a child “can’t do something”. Let them try. Don’t make someone an outcast just because he can’t (or in my case, has little interest in) playing sports. Teach children to become involved. If they see a child being bullied, make sure they understand why it’s important that it be reported and that you will protect them. Don’t assume that autistic people like myself aren’t listening because we don’t make eye contact. Talk to the managers of local movie theaters to lobby for a time at which they will agree to lower the volume. Arrange for a special showing for sound-sensitive children (I can attest that theatres are quite loud for those on the spectrum. When I went to see Iron Man 3 last year, I was cupping my ears at times to make myself more comfortable. Volunteer to help at a summer camp for kids with autism. Do NOT donate to Autism Speaks. 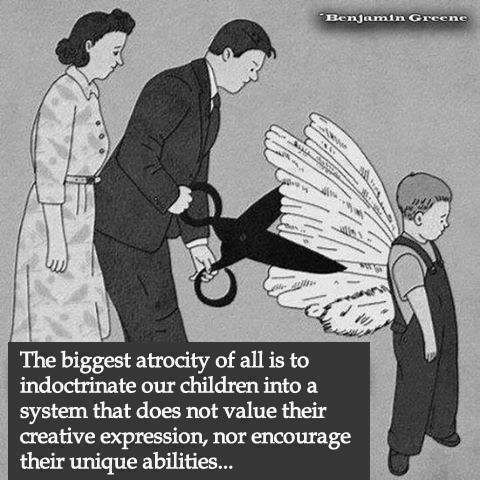 Don’t consider your children “puzzle pieces” that don’t fit into society. Celebrate their uniqueness. Work with an attorney to develop a “living will” should there come a time when you pass on before the child. If you feel the above can be discussed without causing anxiety, tell your child the details. Share your wisdom with other parents of autistic children. DO donate to organizations such as ASAN and the Dan Marino Foundation. Join a web forum for others with this condition. I found two on Facebook, one of which is geared toward a Christian viewpoint, and there’s also one called Wrong Planet that has great resources, as well as a Youtube channel. Commit random acts of kindness for other disabled children and their families. Volunteer at your school if allowed. 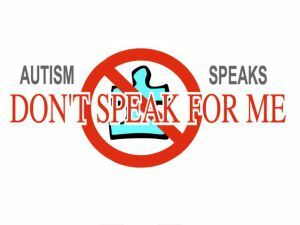 Many of you have probably heard of Autism Speaks, an organization that wants you to think they wish to help autistic people or families with autistic children. That is far from the truth. Last year, Suzanne Wright called out a summit in Washington, DC. She said families of autistic people “are not living.” She portrayed them as living in fear of their children. I would’ve provided a video of their propaganda, but of course, they got it removed from Youtube after word got out about the video’s true intentions. In 2010, the organization only spent 4% of its budget on “family services.” NOT ONE STAFFER is autistic. How can an organization truly claim that it speaks for autistic people when it doesn’t have an autistic person on its staff or advocates a cure that autistic people do not even want? It briefly led me to groups that weren’t at all helpful or accepting of their Autistic children and even more desperation and depression engulfed me as I tried to figure out how to save her from this cursed affliction. But one day she looked into my eyes with so much love and affection and I snapped out of my haze and again SAW my child. This child I worked years through secondary infertility to get. And the more other Autistic children and adults I met, the more I knew these were dreaded lies, awful mischaracterizations of every person on the spectrum. These people were loving, affectionate, bright, intelligent, funny…challenges, to be sure, but in direct opposition to Suzanne Wright’s “Call to Action”here stating emphatically they are burdens, with families that aren’t living, but barely existing, they are lost, missing, diseased and gravely ill. None of the people I know are ANY of those things, including my daughter. This is not an organization that anyone should support, especially the government. (Then again, this is the same president who asked God to bless Planned Parenthood, an organization founded by Margaret Sanger, who was an advocate of racism and eugenics.) Fortunately, there are indeed organizations that will assist those with autism. I have a link to ASAN (Autistic Spectrum Advocacy Network in my blogroll. Also, former Miami Dolphins quarterback Dan Marino has started his own foundation when he found out his son had autism. Boycottautismspeaks, which I referenced earlier, has a list of companies that fund Autism Speaks. They should be joined in their boycott. Let the word go out: They do NOT speak for us. That’s a paradoxically hard question, actually. I was on serious medication from a very early age to combat epilepsy. I don’t recall much from any time prior to about 12 years out – when I came off those meds and went onto others that were less obnoxious. What little I remember involved living in a house on a hill near an air force base. I saw plenty of aircraft flying over, mostly T-37s and T-38s. Once or twice a year, the base had an airshow, and then we saw all kinds of wild stuff. F-4s, A-10s, F-15s, F-16s, C-130s, and so on. Much fun. I remember other little snippets of things, but very little is solid. My folks were of the church-going variety, so I was raised Christian, but not until I was older did I take my faith seriously. We attended a wide array of church types. Even now, I find myself agreeing most with Baptist beliefs, but I attend a very Old School Lutheran church. I’ve also attended Catholic, Methodist, and non-denomination churches at various times in my adulthood. As long as the non-negotiables of the faith are there, I’m okay with it. School? I was bored with it. I learned the material usually on the first pass then sat through a bunch of tedious practice and reteaching. I was never disrespectful to my teachers or classmates – that’s just not in my nature – but boredom was a constant feature. As a result, I loved learning stuff and hated school. 2. Who are your favorite writers? John the Beloved Apostle. I’ve done some very detailed study of his work in Revelation. Janet Kagan. I can only find a couple books she wrote, and that might be all there is. Her books, both science fiction, deal with issues of ecology and interpersonal relations. My first degree is in an ecological science, so I found those particularly interesting. Jude Watson. His first Jedi Apprentice series was wonderfully done. I enjoyed the characterization and the plots. Gordon R. Dickson. I very much enjoyed the Childe Cycle, a series of ten or so military sci-fi novels. The stories wove together in interesting ways but each could stand on its own. Most excellent. Bruce Hale’s Chet Gecko series. Hilarious. Puns everywhere and ties into the old detective movies of the 40s/50s. 3. What is your favorite passage in the Bible and why? OOOooo… many to choose from. Um… I can narrow it to two for you. Revelation 1-3 – You get a glimpse of Christ in His glorified form and get His opinion of what is and is not important to Him in a church. The view of Christ glorified is awesome. The current church as a whole is falling apart in some ways and stronger than ever in others. There’s a church on every corner in America it seems, and some are fabulous and others are broken. Badly. With so many to choose from, Jesus’ assessment of what to look for and strive for is invaluable. Job first and last couple chapters – Job’s world explodes because God wants to prove a point, but Job remains faithful, and in the end God restores all that he lost … double. This is very encouraging to me. Although my world has never exploded to the degree that Job’s has, it has fallen apart more than once in devastating ways. God restored Job. When things go berserk, I have confidence that He’ll restore me, too. 4. Tell me about your most recent book? Published? I only have one out. That would be Remnant in the Stars. This book is the first novel I wrote that I still have a copy of. (There was one earlier that was lost in a move and hard drive oops. I’ll be rebuilding it some time soonish perhaps). In this book, an alien race, Aolanians, have been in orbit around Earth for a couple hundred years. They live on their ships and trade resources and information with humans while they hunt for a place to settle. One of the Aolanians is an astrogator named Sora. He’s carrying around the emotional baggage of a mistake he made sixteen years before. His oldest daughter is on an exploration ship, Kesha, which goes missing after managing a badly mangled distress call. At the same time, Sora’s youngest daughter is developing her mental powers, and he should be home to help with her training. There is some time before he’s really needed, so he joins a human scout ship involved in the Kesha rescue effort and reconnects with his friend Kirsten, a military pilot who lost her arm in a battle. Her prosthetic is not cooperating, and she has become mysteriously ill. He helps her and learns how to let go of the emotional baggage during the search for his child. The development of this story from RPG to short story to full novel is a long, convoluted path. The road to getting published is no less complicated. There’s a sequel in the works, The Loudest Actions. I have five other novels and a half dozen teacher resources under contract and in the pipelines of 3 different publishers. There are also some anthologies due out this month (February) with some of my short stories in them. 5. Is there anyone in your life who helps you to become a better person? I go out to dinner with a friend of mine. We share a meal, enjoy each other’s company, and chat about all kinds of wild stuff. Some of our conversations are very serious and others are very goofy. I can be who I am without fear of rejection. Everyone needs someone like that who doesn’t need the mask to be in place. That makes it easier to go back into the world with the right masks for the right people without being short-circuited by being who we’re not. There are other people in my world who inspire me for various reasons but none quite like that. 6. Who is your favorite biblical figure besides Jesus? Wow, another tough one. There are so many fascinating people! I’ll say David. He had such confidence in God, and he accomplished so many incredible things in several different arenas. He was a writer, a poet, a musician, a warrior, a king, … just wow. Yes, he made some frightening mistakes for which he and his family paid dearly, but he always returned to God and trusted to His mercy and grace. 7. What was the one book that made you think “I want to write!”? I have no idea. I’ve been writing longer than I can remember, literally (See question #1). My mother has short stories I wrote in 2nd grade. They’re hiding in a scrapbook somewhere. I have no idea what started the whole writing thing, except maybe I was bored in class so I probably started writing to be less bored. 8. What evidence can you give that God exists? Ironically, especially in light of the recent Creation vs. Evolution debate, science. No, really. If you look at how intricately things are balanced (“The Anthropic Principle”) and how complex things are – especially living things – how can it get here by any means except God? I’m educated in ecology, and I’m a science specialist in teaching, so I’m familiar with the phenomena. The more science I learn, the more convinced I am that chance is not the way we got here. Consider Michael Behe’s irreducible complexity argument. There are processes that could not have happened by random chance. They’re nested feedback loops with dozens of steps. If one step isn’t up to speed, you have a dead critter. Dead critters don’t reproduce. The blood clotting mechanism is one example. Lots of steps. They all have to work correctly on the first shot. Otherwise, the critter bleeds out, or all the blood clots at once. There’s no halfway. It’s on or off. Those can’t develop stepwise. He explains it much better than I can, but it’s really dense reading. Other evidence? Biblical prophecy. I’ve seen a presentation about the prophecies surrounding the birth of Christ using numerical probabilities to calculate the likelihood of just a dozen or so coming true simultaneously. The number reaches some absurd probability. Random occurrence? No way. Structures in the biblical text – working from original manuscripts – involve elements that are equally too absurd to have been produced even by modern computers. Closer to home? As I look back through my life, I can see how things have been orchestrated to work for the best, even when I saw them as the worst. Chance? Hardly. Too many things have lined up too well. The probability is astronomical. Karma? That’s just putting the question off one step. These things point to God. What is not possible with man is possible with God. More importantly, though, I have faith. That means more to me than any amount of evidence. Glory be to God.